I woke up with a really tight IT band and was worried that I would have a bad run — but it actually turned out to be so much better than expected. When I first got to the beach I had to pee really badly but the bathroom near the lot where I park was CLOSED!!!! There were a bunch of port-o-potties available but I knew they had been baking in our record-high summer temps all day, and I just wasn’t prepared to deal with that. You know, as runners we tend to embrace port-o-potties in ways other people won’t, but there are limits to this relationship! Instead of using the port-o I ran down to the next closest bathroom which is about a mile away. This warm up mile should have been done close to 15:00 pace but instead I ran it in about 13 flat! When you gotta go, you gotta go. What I discovered during this mile was that my calves don’t tighten up if I run at a decent pace. Almost every single day recently I’ve had to stop and stretch my super tight calves after my w/up mile, but yesterday I was totally good to go! Of course this was just one day, but I can’t stop thinking about it. 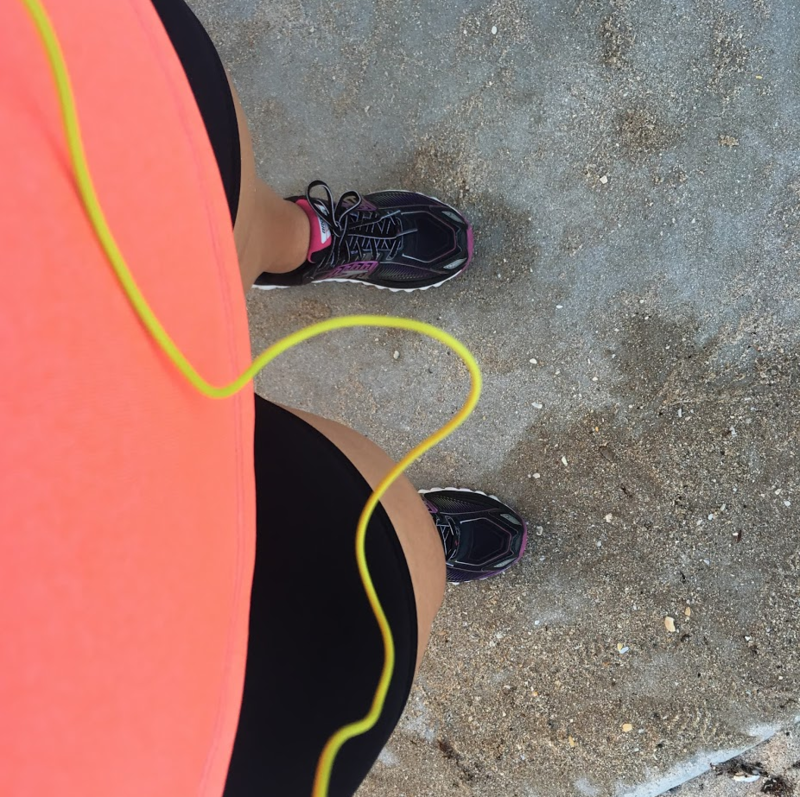 Have you ever noticed if slow/easy running tends to make any of your muscles feel extra tight? 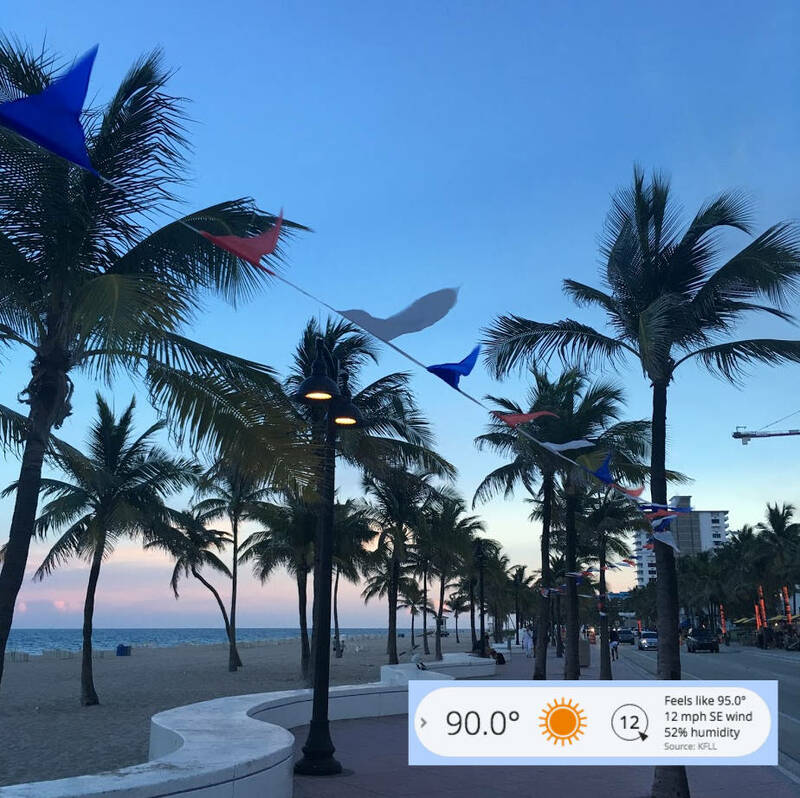 7pm, 90 degrees, this is the new normal!!! I’m not totally embracing the weather but I am embracing summery lipsticks :). If you watched my vlog from over the weekend you saw I tested out a couple of new lip creams. 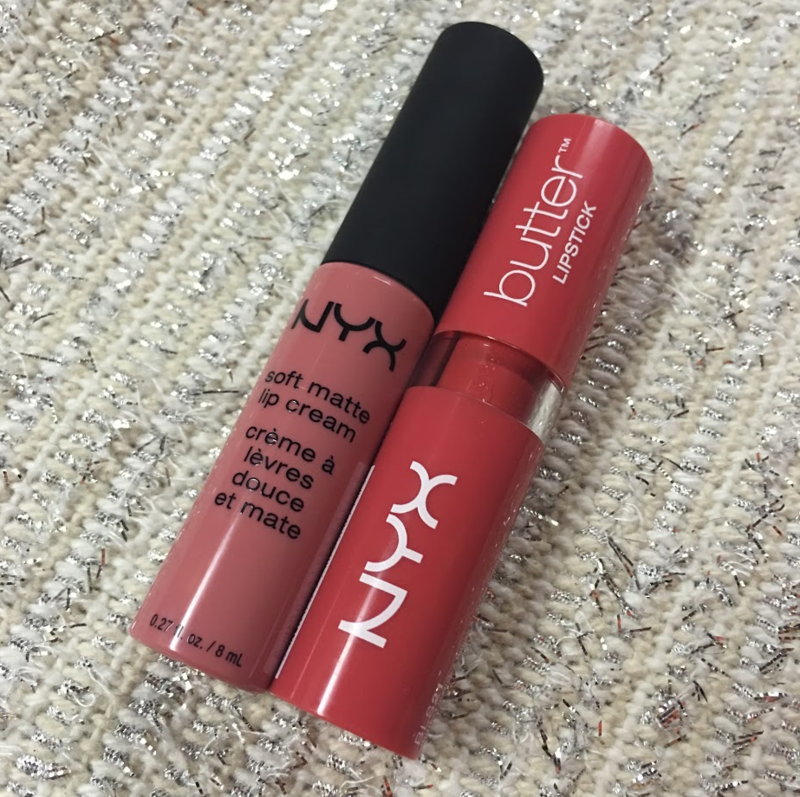 My favorite combo right now is layering NYX soft matte lip cream in Milan with NYX lip butter lipstick in Fizzies! They look kind of dark in the packaging but they are pretty bright when you put them on! I love NYX lip products because they are super pigmented but really inexpensive! I think both products were only about $5. Best of all? NYX is a cruelty free brand! In the pic above I used the lip cream as the bottom layer and the lipstick on top. BTW, I had to stop into CVS yesterday to pick up a few things and I noticed NYX lip and eye products are Buy 2 Get 1 Free if you’re interested! 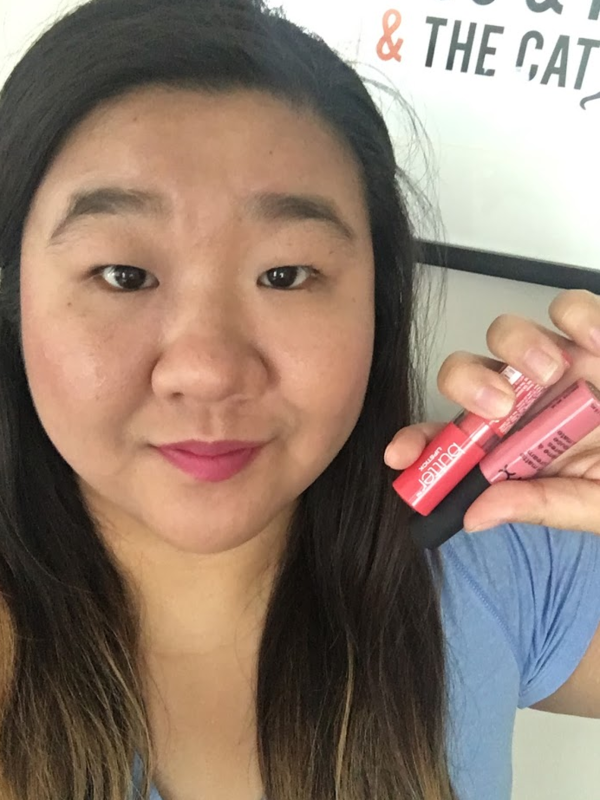 What is your current go-to lip product/brand/color? Anyone else notice if your muscles tend to tighten up more during slow/easy running? That’s an interesting theory! I haven’t noticed that, but I do notice that I feel better when I vary my paces in general. Like during the winter when I was doing all easy runs certain muscles bothered me, but I feel better when I incorporate some faster miles into my training as well. Yeah sometimes I think a slower warmup is better, but my form tends to fall apart when I run at a slower pace and it leads to my knee hurting. My calves cramp up easily if I run or exercise a lot, like two days in a row = screaming calves on the second run. Oh that’s a great point! I bet my form isn’t great when I’m running slower and not paying attention at all! I know when I’m doing speedwork I’m ultra conscious of my form, but during easy runs I don’t really think about it at all unless something hurts. I’ll need to be more mindful! Thanks! I am glad your run ended up going well! And YES slow easy runs bother my knee! Speed work tuesday did not. What the hell? I can’t say that I’ve noticed that before but the days my calves are tight are always recovery run days so I’m always running slow. I’ll try varying the pace a bit next time it happens and see how that feels. I have noticed that when my legs are feeling heavy and tired during a run that doing a few surges helps freshen them up. Apparently speeding up is like magic! That lip color is gorgeous on you! Love! Thanks Heather!! Speeding up is like magic! Our bodies want us to go fast! I literally also just bought a bunch of lipsticks…the same kind. The Butters are AMAZING. I’m still not quite used to the matte lipsticks, though…they get a bit dry for my taste. I’m glad you had a good run despite your IT band giving you warnings. I like to run where I know there are 7-11s, so it’s easy to stop in and pee! I’ve used porta-potties at construction sites before in the mornings, when they’re not too hot, and I don’t think the workers like to use them because they’re often SUPER clean! I think the matte creams are really dry too. The dryness makes me feel like it has staying power but it doesn’t feel great. Just this weekend I’ve started applying a clear-ish gloss over the top in the middle and it’s helped a lot! I have the same NYX lip creme and I love it! It’s crazy how different the color looks when it’s on, but I really love the staying power and that it doesn’t dry my lips out, and that it’s so affordable! I finally used a port-a-pottie in my neighborhood one morning recently because it was necessary and I was so worried it was going to be gross. But surprisingly it was really nice (for a toilet) and the hand sanitizer was full so I was happy. You are my hero for running in that heat, amazing. Oh man, don’t even get me started on the slow Hansons running. I have had major struggles maintaining the pace that I should on the slower runs and I feel better just running “however”. So much so that I’ve convinced my coach to just let me run however I want (in a “slow feeling”) because it’s just bothering my glutes too much. Yes, I think my body does better at a more natural faster pace. I don’t think it’s the cause of my issues, but I don’t think it was helping anything. I was just listening to a podcast about a city runner and she was telling about all of the places she had peed (without being noticed)… sitting on curbs, pot planters, hand rails… Oh my. I don’t think I would have ever tried any of those places!! POT PLANTERS!!!!!! HAHAHAHAH I’m dying! That’s so funny! Oh wow, no, I have not felt anything tighten up while I am going at easy pace (lately), welll except for one mile last week, but i think it was because it was almost 90 degrees. I think I am knocked out by the humidity and feel overall sleepy and tired, and now that I write this my legs are going to seize up and do something weird!! if my feet would cooperate I’d be feeling good. I guess maybe that is your happy place and you should go with it! !